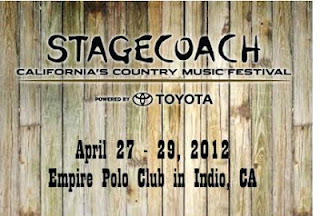 Missed the Stagecoach Country Music Festival in Indio, California? 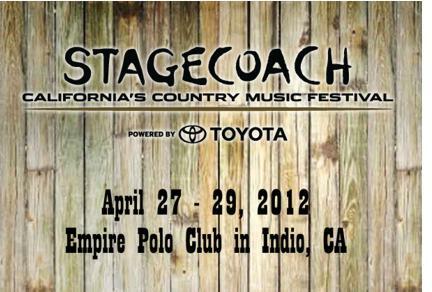 Read a recap here courtesy of the Los Angeles Times. 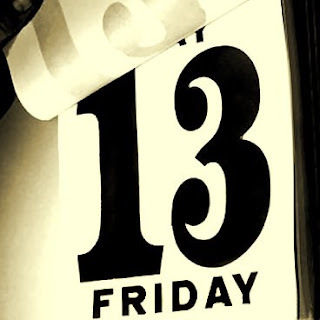 Here is a list of 13 songs that touch on the superstitious occasion, one way or another. 3. Frank Sinatra, "Luck Be a Lady"
4. Joe Ely, "Are You Listenin' Lucky?" 5. Albert King, "Born Under a Bad Sign"
7. Social Distortion, "Bad Luck"
8. Jeff Beck, "I Ain't Superstitious"
11. Jason Mraz and Colbie Caillat, "Lucky"
13. The Verve, "Lucky Man"
Rolling Stone Magazine produced a list of the 10 Can't-Miss Acts at this year's Coachella Valley Music and Arts Festival. 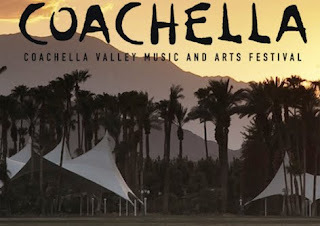 The desert fest, held in Indio, California, expects a 100,000 plus fan turnout on the consecutive weekends of April 13th-15th and April 20th-22nd. These exciting rock, hip-hop, and dance performers are not to be missed! 1. Wild Flag, Key Track: "Future Crime"
2. Pulp, Key Track: "Common People"
3. Azealia Banks, Key Track: "212"
4. Martin Solveig, Key Track: "Hello"
5. Atari Teenage Riot, Key Track: "Revolution Action"
6. Le Bucherettes Le Bucherettes, Key Track: "Bang!" 7. Gary Clark Jr., Key Track: "Bright Lights"
8. Laura Marling, Key Track: "Night After Night"
9. Mazzy Star, Key Track: "Be My Angel"
10. The Refused, Key Track: "The Shape of Punk to Come"
Viewers got a first glimpse at Whitney Houston's upcoming film "Sparkle" this morning when NBC's "Today" show premiered the trailer for the much anticipated release. The remake of the 1976 musical movie stars Houston as the mother of three girls who form a singing group and struggle with fame and drug addition. She is also listed as an executive producer of the movie. The late music icon is seen along side "American Idol" winner Jordin Sparks, who plays one of the daughters. Watch for "Sparkle" in theaters August 17th.